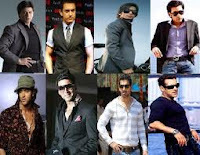 Over the last few months a new trend has begun in Bollywood - the first weekend collections. Although the first weekend has been important to films for the last couple of years, these days the first weekend of a big film has become crucial, it's the first 3 days (or 5 days for extended weekends) which dictate success or doom for a film. The simple reason behind this trend is that films are released with a massive number of prints and the public is able to see the film in the first weekend. For the last several months every big film has released on at least 2000-2500 screens (or in the case of Ra.One - a record setting 3500 screens) and most of their business is done in the first weekend, rarely do films get past the 2-3 week run nowadays. Before 2009 films were released on a maximum of 1000 screens in rare cases big films were released on 1200 or 1400 screens and hit films would do a business of 8-10 weeks. In the 1990s films were released on a maximum 200-300 screens - this is why films like Hum Aapke Hain Kaun..! went on to be golden jubilees. Hum Aapke Hain Kaun..! was also the first Hindi to run in mainstream cinema in U.S.A., UK and other parts of the world and created records unheard of before. It ran for over 50 week in London and Toronto - the first Hindi film to do so. HAHK also takes the credit for reviving the theatrical release of Hindi films abroad. When films were released on 1000 screens or less, many Houseful signs were seen in cinema halls because demand exceeded supply and those people who couldn't see the film in the first week came back in the following weeks. But when a film is released on over 2500 screens supply exceeds demand and Houseful boards become a rareity. 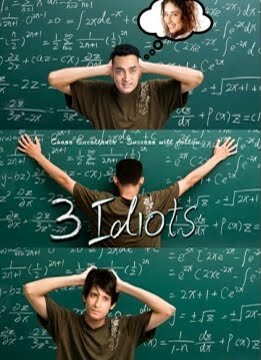 If you look at the collections of 3 Idiots, the film ran successfully for 8 weeks with less than 50 percent weekly drop. Now compare this to this years big releases Bodyguard and Ra.One which were released on 2700 and 3500 screens, respectively, and you will realize that the drop for these films were more than 80 percent in the second week and the films were done by week 3 or 4. One thing I want to point out is that in today's times most producers don't lose any money in a film. When they sell a film it's sold for more than the budget, distributors are never shown where or how the money was spent. So if a producers claims the film cost 50 crores or 150 crores distributors blindly believe him because they haven't seen the film, meanwhile, the film might have cost the producer 10 crores to make and he claims it cost 40 crores. When a producer sells his film it's for more than the actual cost of the film (he has to make a profit), so a distributor might pay 40 crores for a film that cost 35 crores to make. To the common man it may not matter how one film performs but it has a drastic effect on the industry. When a big film like Ra.One is released - the first Shahrukh Khan film to release in 20 months and it doesn't make any money for anyone but SRK, then there's something wrong with the system. It's not about just one film or one star but the industry as a whole - it would be wonderful if every film was a hit but that hardly seem possible in today's scenario. Below is a list of the ten Highest Grossing Bollywood films and their weekly performance at the box office including the percentage they dropped each week. As you can see films that were released on less than 2000 screens had less of a drop and lasted more weeks than films released on 2000+ screens. This is because when a films is released on 2500 screens the audience sees it in the first week because everyone is able to get tickets in the opening week.